Autumn Begins will fall on Monday, marking not only a gradual drop in temperature but also sharp differences between day and night temperatures. It will be autumn next week when liqiu (Autumn Begins) hits the city, ensuring a gradual decline in temperature and welcoming a more sharp temperature difference between day and night. Liqiu usually arrives on August 7 or 8, when the sun’s elliptical longitude reaches 135 degrees, marking the start of a new season. This year, it will arrive on Monday. 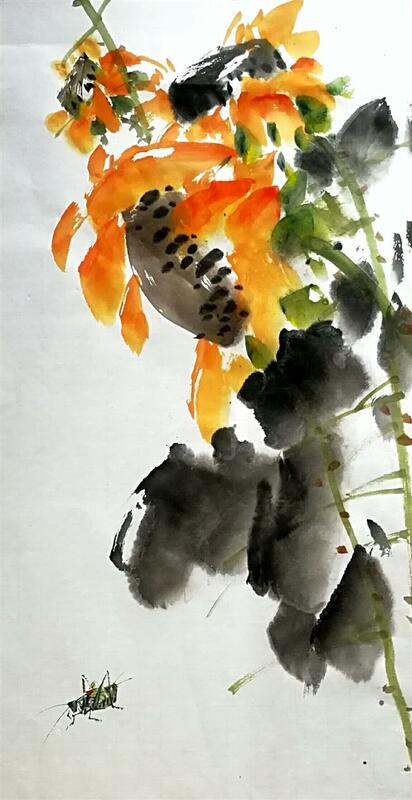 A Chinese proverb describing the days after Autumn Begins as “three periods of waitings” — waiting for cool winds to reach, waiting for dew to arrive, and waiting for the cicada to cry. In the Song Dynasty (960-1279), a potted planetree was usually kept inside the royal palace during liqiu. With the official historian declaring loudly: “Autumn is coming,” some leaves fall from the trees as a sign of the new season. Yet, liqiu's arrival as a Chinese solar term is not necessarily the beginning of meteorological autumn which requires an average temperature below 22 degrees Celsius for five straight days. Regardless of the cool wind it brings, it takes a long time for all Chinese regions to enter meteorological autumn. The north parts like Heilongjiang Province usually enter autumn in mid-August, which is the earliest, while it can be December by the time it reaches southern Hainan Province. The lower reaches of the Yangtze River, including Shanghai, are still hot even after Autumn Begins, and the period between Autumn Begins and Autumn Equinox is called chang xia (long summer) in traditional Chinese medicine. There were reports of especially high temperature of over 35 degrees Celsius even after Autumn Begins. It is called qiu laohu or “autumn tiger” phenomenon. A widely known saying suggests that a sunny Autumn Begins is usually followed by 24 hot days; while a rainy Autumn Begins usually paves way for a comfortable autumn with temperature dropping gradually after every rainy day. Either way, the residents are advised to adjust their lifestyle for the new season. Whether it rains or not, they should prepare for sharp temperature differences between day and night. Besides, they should eat more nourishing foods to protect their lungs and skins for the dry days, such as white fungus, pear, honey and sesame. As the start of the harvest season, liqiu has always been an important day for Chinese. During the Zhou Dynasty (11th century -256 BC), the emperor would lead all the officials in white dress, with white accessories, horses and flags, to the suburban regions in the west of capital. The emperor would hunt animals and offer them as a sacrifice to the gods and prayed for a good year. Various traditions emerged out of people's desire for healthy and rich life during the season. With multiple fruits and vegetables maturing after Autumn Begins, it is time for shai qiu (literally"dry autumn in the sun") in the mountainous areas of Hunan, Jiangxi and Anhui provinces. With limited flat ground, most agricultural households dry their autumn harvested crops in the courtyard, balcony and roofs, creating beautiful scenes of village life. There are also country fairs where farmers sell their products or buy what they need. Similar to the tradition of “biting spring,” “biting autumn” refers to the custom of eating some health-benefiting seasonal foods. 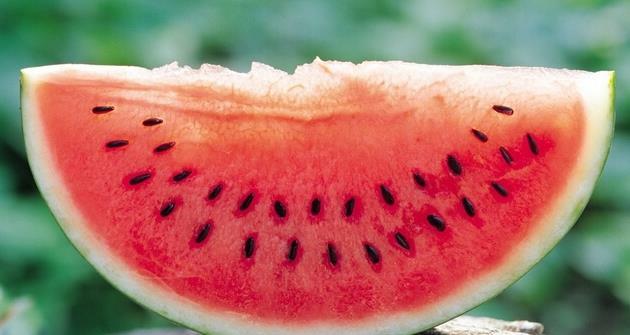 In most regions, people eat watermelons on liqiu as they believe it will dispel pathogenic heat accumulated throughout the summer, and prevent diarrhea in autumn. In Zhejiang Province, some residents prefer drinking strong liquor with watermelon to prevent malaria. In Beijing and Tianjin and Hebei Province, people eat pumpkin, eggplants and Chinese mosla herb soup. Tofu curd dregs made of soybeans and green vegetables are widely eaten on the day in some regions of Shandong Province to prevent digestive problems like vomiting and diarrhea. Hangzhou residents traditionally eat peach and keep the peach-stone until the Lunar New Year’s Eve. The peach-stone will be thrown into the stove on the eve as a custom against plague. Food with rich proteins is on top of the list, such as pork, beef, fish, chicken and ducks.